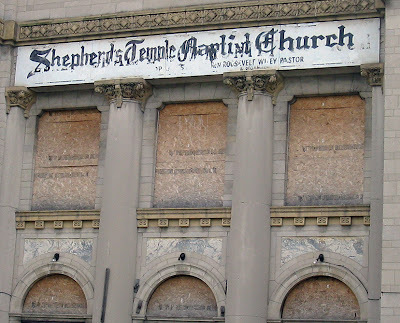 ArchitectureChicago PLUS: History Discarded, History Preserved - the different fate of two Chicago churches associated with Dr. Martin Luther King, Jr. I am an architect, preservationist and board member of the Chicago Jewish Historical Society. I am currently spearheading the effort to stop the demolition of the former Anshe Kanesses Israel synagogue at 3411 W. Douglas Blvd. 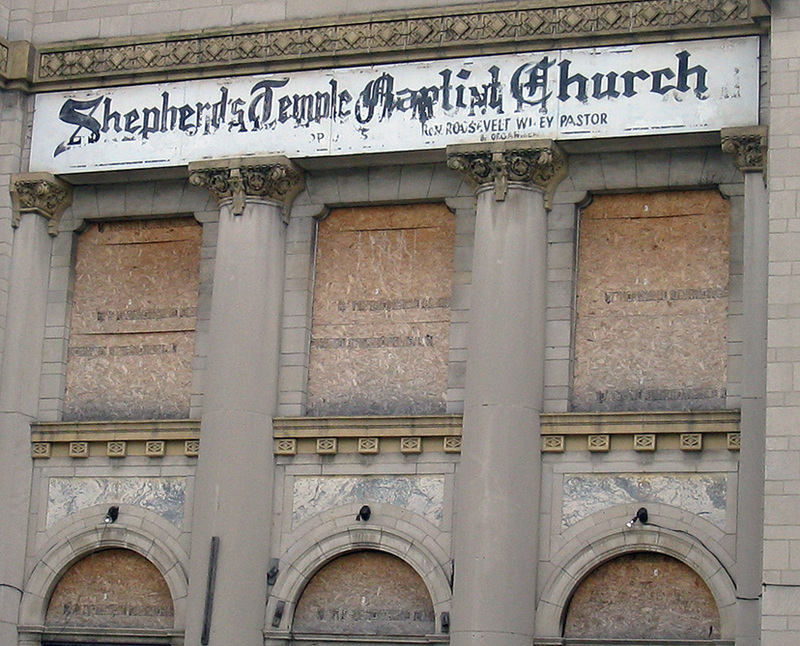 The building, which was sold to Friendship Baptist Church in the 1960's, later became Shepherd’s Temple Baptist Church, and is currently owned by Abundant Life World Outreach. 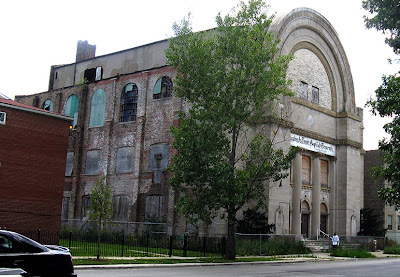 I am working along with Preservation Chicago, Landmarks Illinois, and a host of other governmental, neighborhood and civic entities to prepare a proposal for saving this significant architectural and historic structure. Our primary direction, at this point, is to overturn the order of demolition while we seek to securely "mothball" the building for future reuse. 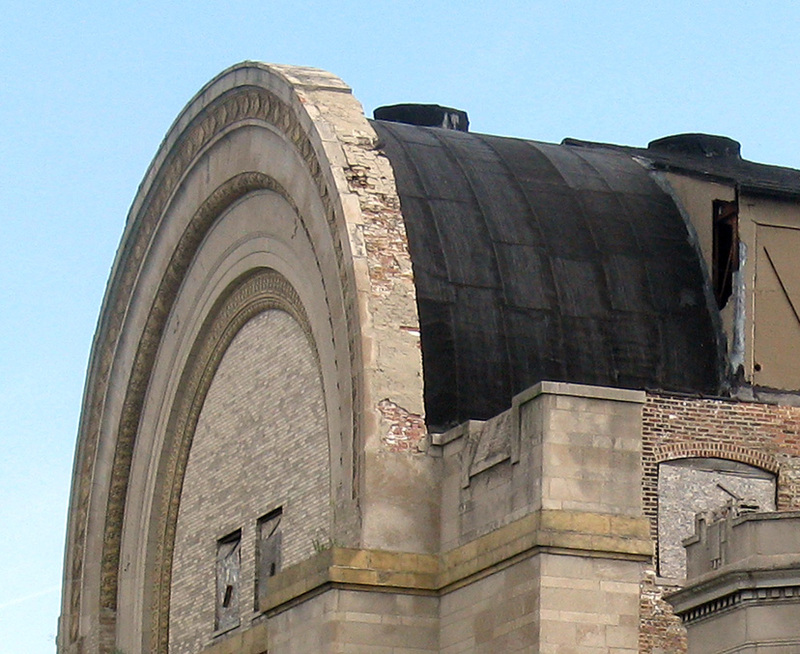 Yesterday, a number of us, including Ron Grossman of the Chicago Tribune were able to tour and photograph the interior (which is significantly damaged). A number of photos by Susanne Helmert are posted online at http://www.flickr.com/photos/erdbeertorte/sets/72157628903814129/with/6711303849/. If you are interested in being part of the effort to save this important landmark structure, please feel free to contact me. 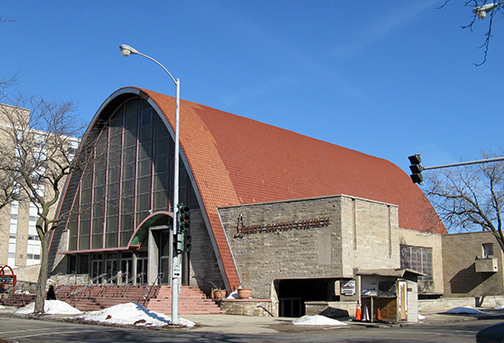 You might also consider exploring First Church of the Brethren, at 425 S. Central Park Blvd. in East Garfield Park. This is where King actually kept his office while working with Chicago's just housing campaign. The congregation is still there and older members still remember when King roamed those halls and streets. Two additional congregations also now share the building: Chicago Community Mennonite and Roca de Esperanza. 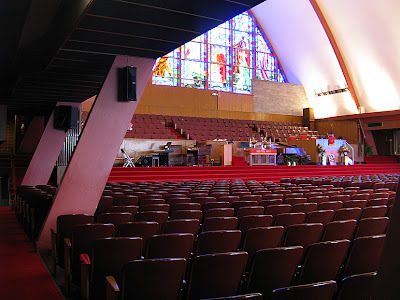 The sanctuary features two matching magnificent stained glass windows with King's likeness in the bottom corner to honor his legacy and spirit in the building itself. Recently the sanctuary had to undergo major roof renovations, and the three churches gathered together for the first time back in the renovated space for our annual MLK joint service where black, white and brown attempt to BE the beloved community King proclaimed and longed for. Full disclosure: I am the pastor of Chicago Community Mennonite. As renters and inhabitants of that building for the past 15+ years, we are honored to call King's Chicago church home our own.